The time has come for you to ask everything you ever wanted to ask, but didn't have the chance. 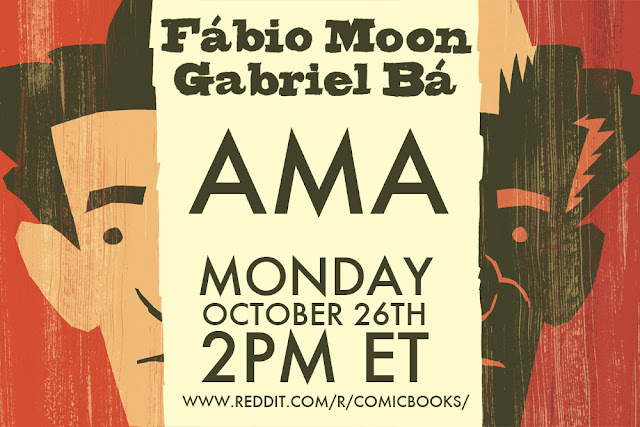 Next monday, October 26th, 2PM ET, AMA with Fábio Moon and me at reddit. TWO BROTHERS in New York. Nothing happens out of the blue and it's easy to loose track of time when you spend so many years working on the same project. You may forget all the other things that happened during those years, what has changed since the last time you were there. Last time we were in New York was in 2010, we had just released the last issue Daytripper. I can say for sure that everything changed for us after that book. Five years later, we were back in New York with an Eisner and Harvey awarded book that spent four weeks on the top of The New York Times bestsellers list, published in twelve languages, respected and beloved by authors, critics and readers. 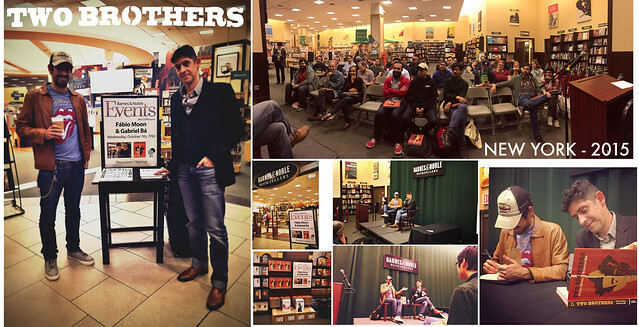 And we were there to release our new book, TWO BROTHERS. 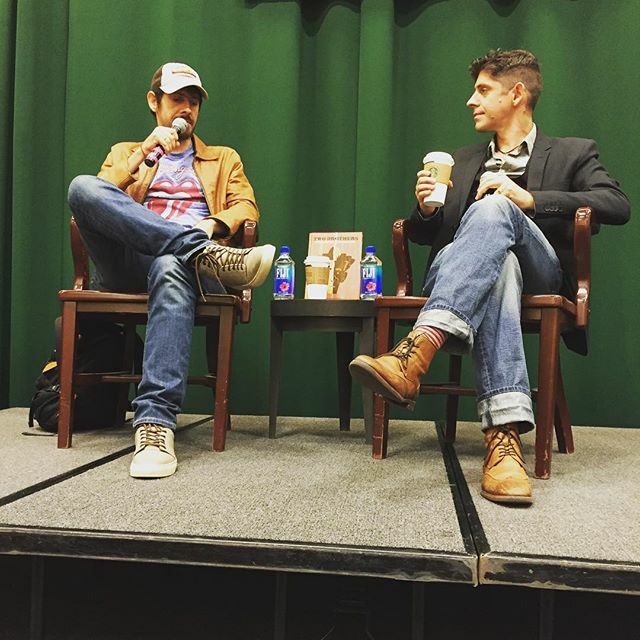 We began our trip with the right foot, with a discussion and signing session at Barnes & Noble in Tribeca. We arrived half an hour earlier to let our anxiety steam a little down, and when we finally began talking with the audience, we were warmly welcomed by everyone, always paying attention and full of interesting questions. Everyone present left inspired and happy, with their books signed, glad they were there, being part of that special moment. Right there, the book was out on the open, it was free. We could finally relax a little and recharge for the next four days that awaited us. 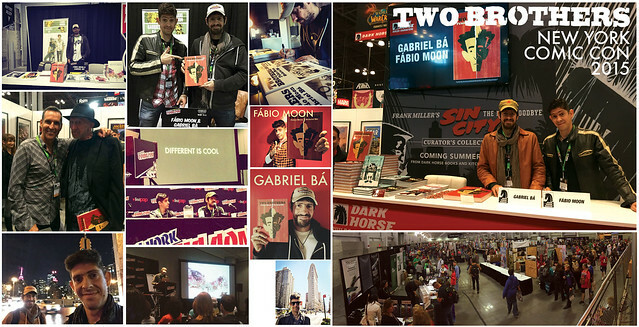 We love conventions, the interaction with the readers, meeting new creators, the adrenaline of selling your own books and sharing the passion for your work with everyone who stops at your table. We’ve been to four different conventions in the U.S. this year and we could see what they have in common, the differences, the artists that go to every each one of them, the publishers, the T-shirt/Toys/Light Saber stores, the cosplayers. Bigger and smaller events. 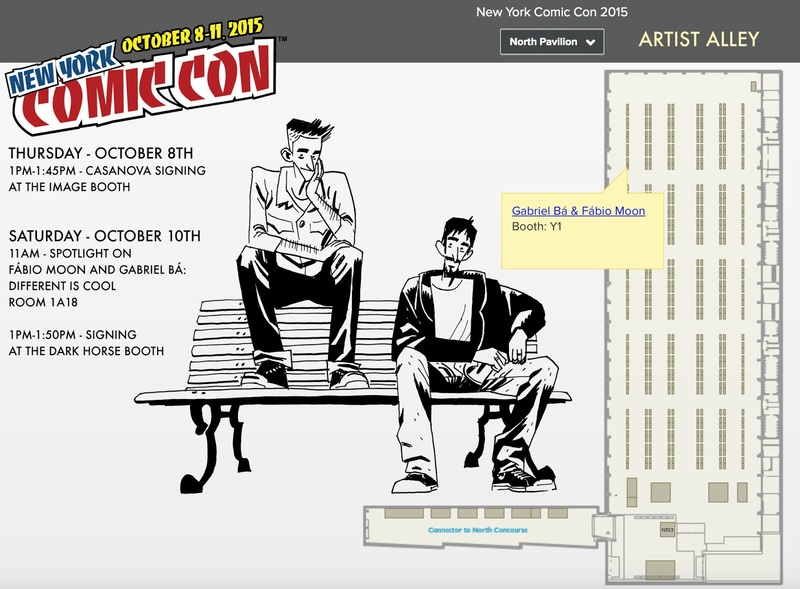 New York Comic Con has grown a lot in the last five years since we’ve been there, specially the Artist Alley. It was great returning to the crazy frenzy of tabling, specially with a fresh new book that would only come to the stores the following week. We sold 100 copies of Two Brothers in two days. Dark Horse had more books shipped overnight for the weekend to have it at their booth. We were rarely not busy on our table. With a career of almost 10 years in the U.S., readers had a lot of different stuff for us to sign, but what brought most of them there was Daytripper. The single issues, the trade, the deluxe hardcover edition. But most importantly, what the story meant to each one of them. A book that remains with the readers after they finish reading it, one that is constantly given as a gift for loved ones, one that is the entryway to comics to so many people. Saturday was our busiest day and we were barely at our table. We had our spotlight panel in the morning, a signing session at the Dark Horse booth, followed by five interviews about the new book. After all that, we waited an extra hour at the booth just so we could give our book personally to Frank Miller. It’s great to have idols that inspired and influence you. On the very few occasions we happen to meet ours, we make sure to show the respect they deserve. We have a successful career, our work, our fans, but it’s always good to remember we have still a long road ahead of us. Life is made of choices, and we’ve chosen to go to New York to release our new book. It was a group effort to guarantee the books would be there in time, to set up an event on the bookstore, to get us a table at Artist Alley and a spotlight panel on the official program. We bought the tickets, the convention and the publisher got us the hotel rooms. We spent almost a week in New York without doing any sightseeing, no shopping, nothing a tourist is encouraged to do so easily there. We went there to release the new book and we had to return right away, for work awaited us. I’m not sure when we’ll be back in New York, but I am in no hurry. The new book’s journey has begun and we were glad it happened there. Today, the book arrives on every comics shop around the U. S., and many other places that buy and read comics published on the American market. The book has already been released in Brazil and in France, and in two weeks it will be released in Italy (at Lucca, our next trip), but I feel like from now on, the book will really reach the whole world. It’s just a matter of time. 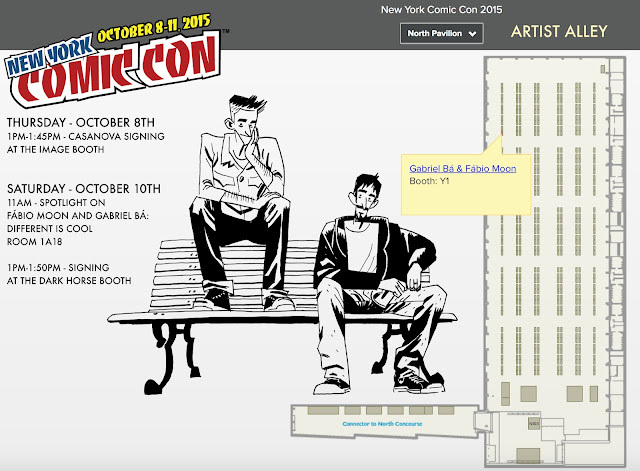 We're leaving for New York, where we'll release our new book, TWO BROTHERS, and be at NYCC throughout the week. We’ll be at the show every day. If we’re not on one of the above events, we’re probably at our table (Y1) at the Artist’s Alley, selling exclusive copies of TWO BROTHERS, prints and original art. a short video we made for the brazilian blog when we released the brazilian edition of TWO BROTHERS.